Transport yourself back to the year 95BC. Something remarkable is happening at Emain Macha. Long one of the most important sites in Ulster, home to many great chieftains of the Ulaid tribe, there is a tangible excitement in the air. From all over people arrive with earth to pack into the growing walls of a massive temple, 45 metres in diameter, now in the last stages of construction. Made of wood and covered with a circular roof, this great temple had no parallel in Ireland. It’s true purpose remains a mystery today but it was no mere burial ground or ritual sacrifice site. The Celts were in retreat in Britain, pushed to the fringes of England and Wales by the Romans and under threat in Scotland. But in Ireland their society and pagan religion still dominated. And Emain Macha, referred to in Ptolemy’s 2nd century AD map of Ireland, the first ever of the country, is a vital part of that society. The truth is that the Navan Fort, the anglicised term for Emain Macha, was probably never a fort at all. Inhabited for hundreds of years before the temple, as the discovery of the remains of many figure of eight buildings confirm, it had long been a place of spiritual importance. Emain Macha was part of a network of ancient sites, such as nearby Haughey’s Fort and the King’s Stables, which indicate human presence as long ago as Neolithic times in the area. In the exhibition area at Navan Fort you can see a copy of a trumpet found in the nearby ceremonial lake, Loughnashade, while the skeleton and jawbone of a Barbary Ape from thousands of years ago at Emain Macha suggests some of the people who lived here then were highly important and probably royal. Emain Macha was still home to kings and queens of Ulster in the centuries after the birth of Christ. But the era of the temple, around 95BC, is the golden age of this extraordinary site. And it is in this place and at this time, approximately, that the stories of the Ulster Cycle of Legends occur. It is no coincidence. 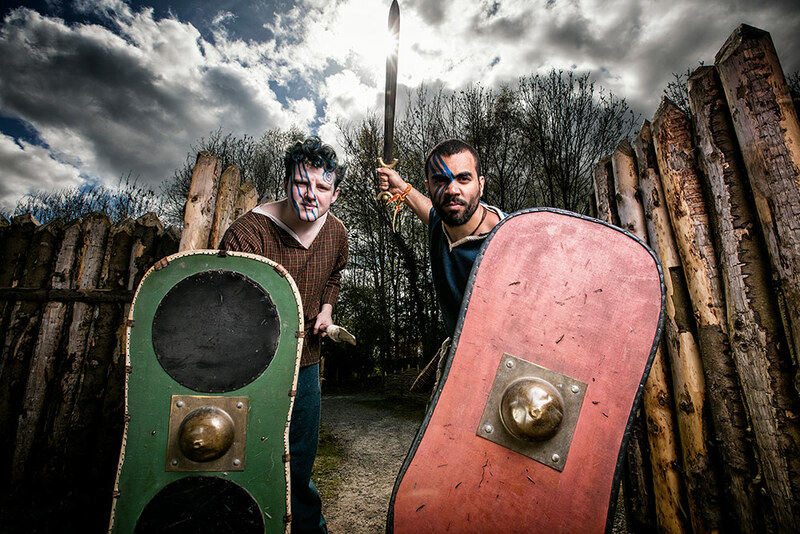 The stories, of great kings, brave warriors and acts of heroism, reflect the importance of Emain Macha to the Celts and suggest this was a royal centre in reality too. Even the name itself is taken from one of these legends, making the site the only one to be named after a Celtic goddess. Perhaps one day the temple will give up its secrets and we will know what purpose it served and why the very people that built it deliberately burned it down. 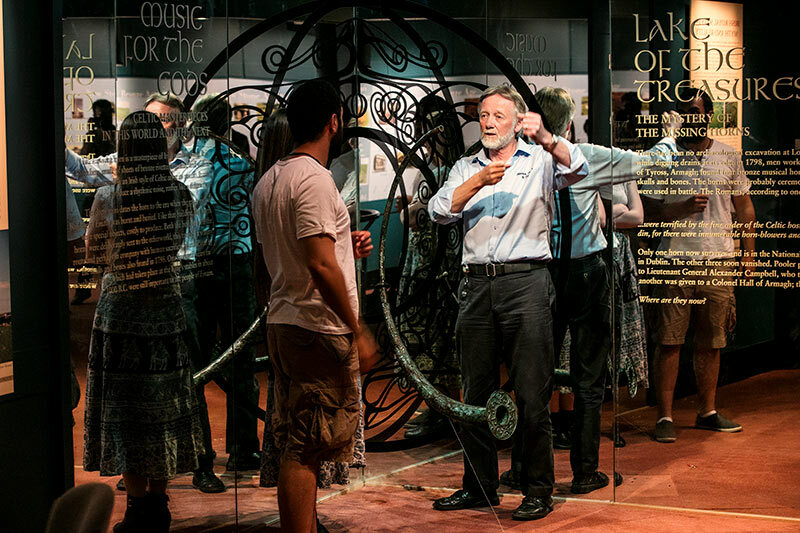 Meanwhile, discover the extraordinary story of Emain Macha and the Celtic world it served at the fascinating exhibition just a few yards from the great mound.